During pregnancy your skin can be bright and smooth. But you could be one of unfortunate ones who suffer from spots, just as if you were in puberty. The sebaceous glands are to blame. They are more active and produce more sebum. This is what accumulates under the skin and causes the spots. 15 weeks pregnant – how is your baby growing? Your baby is now approximately 12 centimetres and weighs about 95 gram. Fine downy hair (lanugo) begins to grow, firstly on the eyebrows and upper lip. By the seventh month the whole body is covered. Later the hair disappears. Babies born prematurely often are covered in a fine layer of hair. 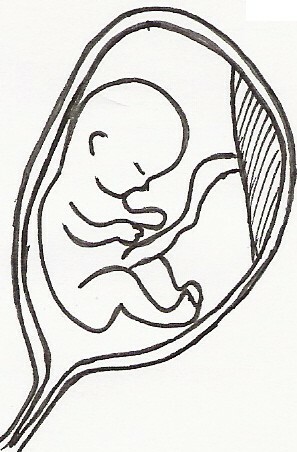 In week 22 of this pregnancy update we will return to the subject of premature birth.